I would suggest "Rand McNally"
I doubt my Boss will need one since I don't see driving it out of town. Now for my F-150 pulling it, maybe you could give me some ideas? I guess I took too long. I have a 4th qtr build slot. Anyone know where I can find an earlier car? A Boss, not the LS. You can try Mack Haik Ford in Houston, TX. They have an allocation of 10 Bosses and 2 LS'. They have stock ordered 5 Boss's and 1 LS and want to see what the market will bring before submitting customer orders for the remaining allotment. Good luck. Just an update, that dealership is going to take "bids" on cars. I'm not interested in that since I already have a slot at MSRP. I'm just trying to improve my delivery. Why not buy a GPS; like a Garmin? I use my Droid for nav, music, etc., so the dash isn't cluttered with a bunch of extra stuff to slide around or come loose during spirited cornering. cellphone gps is great until you are in an area with service. Why in the world do you need a night vision camera for your car? Really. What you need is one of these mounted on top. Great pic. 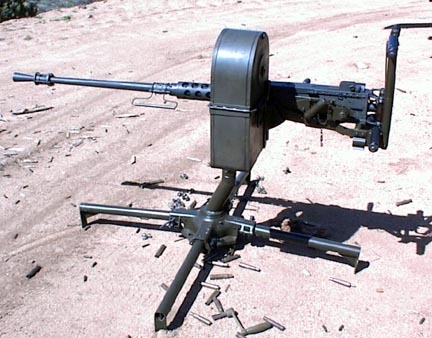 A 7.62MM 7 barrel mini gun has better effect. Seriously, I've been looking at 1080 video cams and the GoPro is where I am leaning. About $300 with SD card and multi-mount options. Weather proof as well.